An aneurysm is created when blood flows collide with artery walls and weaken them. Over time those weakened walls stretch out and form an aneurysm until it eventually bursts. 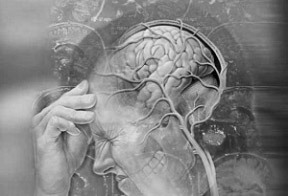 A ruptured aneurysm (patient has already experienced a hemorrhagic stroke, SAH), generally requires treatment as soon as possible due to the high re-bleeding rate. Treatment options of the SAH patient are the same procedures (coiling and clipping) as for unruptured aneurysms, however, the decision is made by the attending physician as the patient is often unconscious or unable to participate in the decision-making. Treatment time and option decisions are made based on similar criteria: size, location and shape of the aneurysm and the added factors of the hemorrhage as well as the patient’s overall medical condition. One caution the family of a ruptured aneurysm patient might want to take at this juncture is to ensure that both an interventional radiologist and a neurosurgeon consult over the case as time and the patient’s condition permit. In some cases either technique could be used, and the recommendation on how to proceed will be influenced by a number of considerations including, the age and condition of the patient and the experience and skills of the attending physicians. Once a hemorrhage has occurred, several consequences might develop.